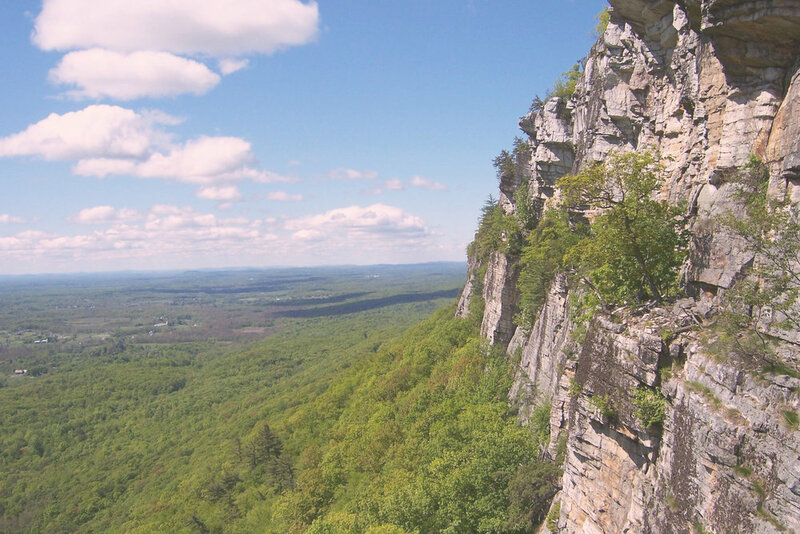 Heartwood is located just 3 miles from the entrance to Mohonk Preserve and Minnewaska State Park. These two parks attract over 500,000 annual visitors who come to experience the incredible views, hundreds of miles of trails, and internationally-renowned rock climbing. The surrounding area is dramatically underserved by hotels that appeal to the large number of visitors from New York City. Though many Heartwood guests will enjoy the on-site amenities and never leave the property, the hotel will also appeal to more active travelers who seek out the outdoor activities in the preserve. A Heartwood "adventure concierge" will provide trail recommendations, equipment rentals, mountain bikes, and guide services. A free Heartwood shuttle will drop guests at the nearby trail heads. Heartwood is immediately adjacent to and connected by walking trails to Stone Wave Yoga, a popular local studio, and Tuthilltown Spirits (grain-to-glass distillers of Hudson Baby Bourbon and Hudson Whiskey). Within a 10-minute radius of the hotel, there are a host of local eateries, wineries and breweries, a world-class sporting clay facility, a skydiving ranch, cross-country skiing, hiking, and shopping. Downtown New Paltz (7 miles away), with its distinctively bohemian vibe, is home to dozens of restaurants and boutiques, a farmer's market, and specialty stores. New Paltz is also the Pick-Your-Own capital of the Hudson Valley, hosting friends and families from the city for seasonal apple and pumpkin picking during the world-famous foliage season.